Outreach (external contact) is the method of field work for specially trained employees or volunteers of related services for interaction with population and certain target groups, provision of support to them, distribution of hand-outs, contraceptives, running individual consultations and etc. 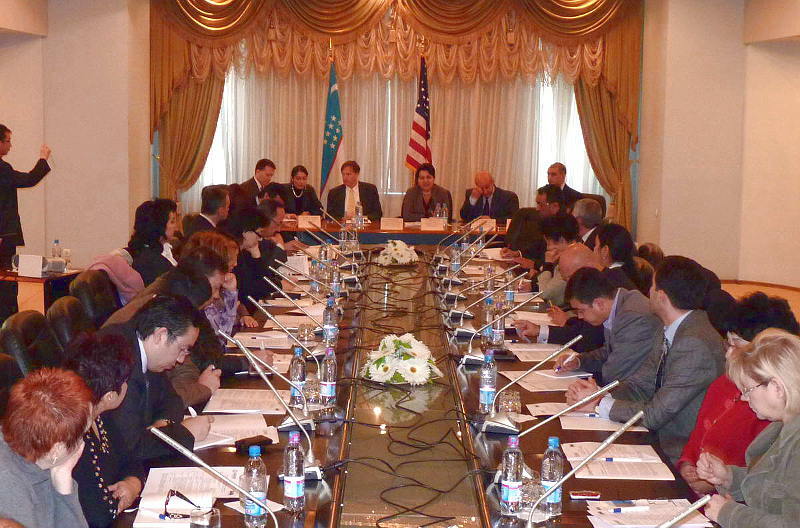 On November 23, 2010 the round table, dedicated to the launch of implementation of the United States Agency for International Development (USAID) 5-year program on Health Outreach, took place in the capital of Uzbekistan. The budget of the program is $2.3 million. The program strategy aims at offering full package of services on prevention of HIV and tuberculosis among most vulnerable population groups with high risk of contamination. The goals of the program are raising awareness among target audience on tuberculosis and HIV, improvement of decease identification and lowering the mortality rate among the target groups, as well as treating risky behavioral patterns, associated with HIV transfer. The Health Outreach program is going to be implemented by Project HOPE – The People to People Health Foundation, Inc in cooperation with Republican center for AIDS prevention, Republican center DOTS, as well as Institute for Health and medical statistics under Uzbek Healthcare Ministry. Health Outreach is one of many programs, conducted by USAID. According to Alisher Ishanov, the expert on healthcare project management, the agency also launched Quality healthcare project and Initiative on supporting STOP-TB. 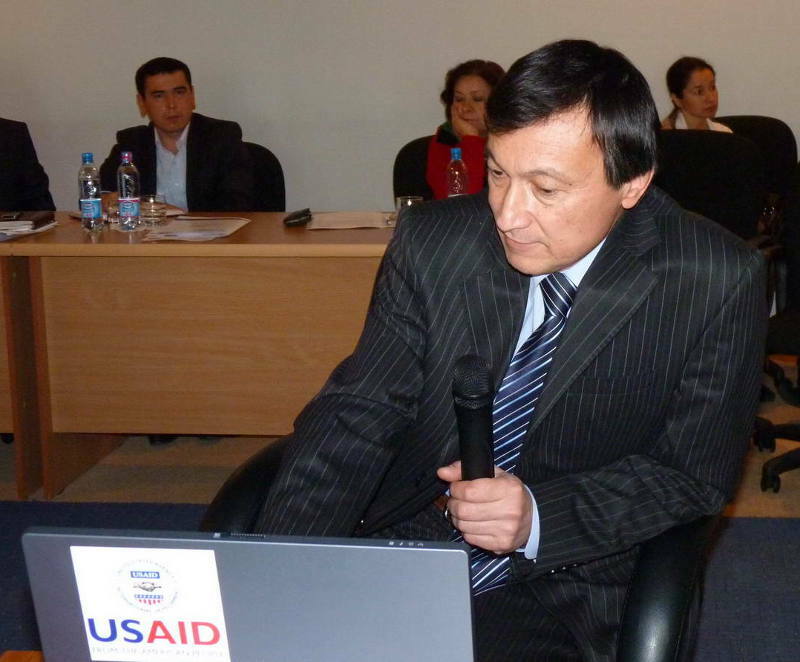 Since 1992 USAID allocated over $330 million for programs support in Uzbekistan. According to Artur Niyazov, the Health Outreach program coordinator, the first phase of the program will be conducted in Tashkent during 1 year. Upon presentation of positive results to the government and healthcare ministry USAID may expand the program to other cities of Uzbekistan. Before the beginning of the round table the American embassy press-service representative approached Ferghana.Ru correspondent and asked if the journalists will ask questions. The embassy representative asked to provide them in written form in order to provide the responses on the following day. We agreed. $2.3 million, allocated for Health Outreach Program, will be directed to Project Hope in order to help most vulnerable population groups. USAID runs regular control over work of its partners and evaluates their performance in the projects such as HOP (Health Outreach Program). The control and performance evaluation of the partner organizations include the meetings with their representatives, consideration of the grant receiver projects, meeting with colleagues from the Republic of Uzbekistan government, representatives of civil society. This helps us ensure that partners go in the right direction in order to achieve expected results. Besides, USAID regularly monitors and audits financial reports of partner NGOs in order to ensure property reporting and transparency. Besides, during the round table Mr. Niyazov informed that the control function is also the responsibility of the Healthcare Ministry. The agreement includes a point, according to which the quarterly report will ensure the proper use of these funds. "What happened to Mr. Popov will not happen to our program members"
The second question of Ferghana.Ru covered the case of Maxim Popov that was sentenced to 7 years of prison for distribution of book about healthy lifestyle and prevention of HIV-infection. To remind, the guide for teachers was issued in Kazakhstan in 2003; since that time the book was republished 3 times under the sponsorship of UNDP and USAID and has been used in USAID projects on AIDS and drugs prevention by such organizations, as RPMG, UNICEF, PSI, Global Fund and others. Covering the case of Mr. Popov, we sent the official inquiries to UNDP and USAID and asked to officially confirm the involvement of these agencies in publishing and republishing of the book and if they were going to help Maxim Popov. Neither UNDP nor USAID provided formal response. However, the response, we got from US embassy, provided the answer to this question. Gulnara Karimova, the daughter of Uzbek President, also promised to help Maxim Popov. At the moment, she is sponsoring AmfAR, US organization for AIDS prevention: in 2009 Ms. Karimov sponsored Cinema against AIDS night, organized by AmfAR under the Cannes Film Festival while in 2010 she co-chaired the night. AmfAR representative noted that the organization started cooperating with Ms. Karimova "in order to help Maxim Popov through the work wither"; however, so far, except for organization of charity nights, Gulnara Karimov did nothing else to help the American organization. "US government carefully monitored the case of Maxim Popov and several times raised this issue before high-ranking Uzbek officials. USAID would like to assure that what happened to Mr. Popov will not happen to the experts, working under Health Outreach Program of USAID. In this direction, USAID and its partner Project Hope, running Health Outreach Program, work in close cooperation with the government of Uzbekistan, following the memorandum of understanding that clearly defined the project scope. USAID cooperates with Republican center for prevention of AIDS, Republican center DOTS, Institute for health and medical statistics under Uzbek Healthcare ministry, clearly sharing the tasks and responsibility of Project Hope and its partners". AIDS prevention in Uzbekistan is the matter of national importance. Money must go (and be controlled) through the ministries and big state agencies. Small NGOs that do real job (such Izis, managed by Popov) stop being the target of international donors for whom "the project boundaries" were clearly defined. It is not recommended to cross these boundaries "in order to avoid what happened to Mr. Popov". USAID learned the lesson from the case of Maxim Popov. Giving an overview of HIV in the republic, Nurmat Atabekov, the director of Republican Center for AIDS prevention, said that one of the achievements is the stabilization of HIV-infection dissemination. According to him, the average growth of number of infected people reaches 500-600 cases per year while today this indicator is the same as in the last year. On January 1, 2010 there were 15892 HIV-infected people in Uzbekistan (5586 in Tashkent, 2512 in Tashkent Oblast, 2037 in the penitentiary institutions). 70 percent of HIV infected people are men. According to Mr. Atabekov the first case of HIV infection was registered among African students in 1987. Since that time the number of HIV-infected people has been steadily growing. Most of the infected people are 25-49. The epidemiological inspection, conducted in 2008 among risk groups, identified the following occurrence: drug addicts – about 4 percent, prostitutes – about 2 percent, venereologic – 2.3 percent, pregnant women – 0.2 percent. Today, there is single system for AIDS prevention in Uzbekistan that allows to comprehensively manage HIV counteraction programs through Republican and regional centers for AIDS prevention. The system is coordinated by republican committee, headed by Prime-Minister Shovkat Mirziyaev. According to Mr. Atabevov, the National plan for preventing HIV in 2009-2011 allocated about 18 billion sum ($15 million at the official exchange rate) for purchasing modern diagnostics equipment. 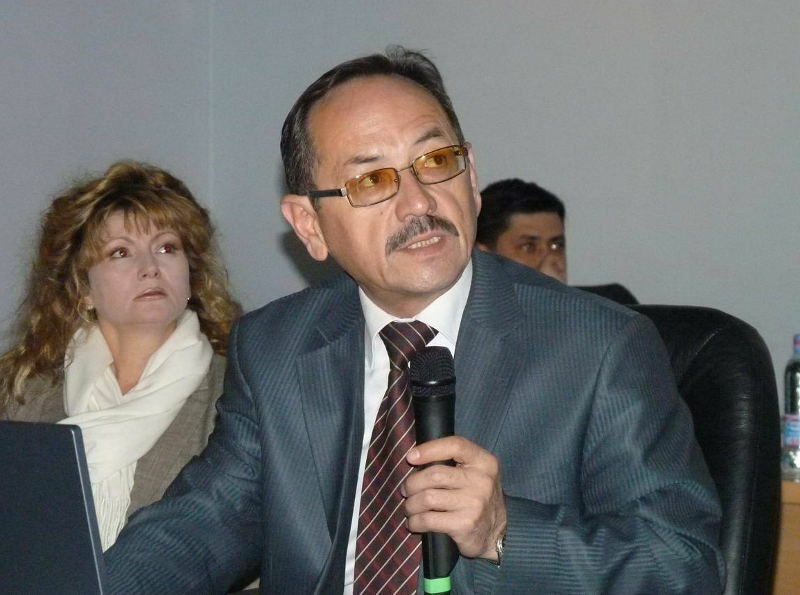 Giving an overview of tuberculosis problem in Uzbekistan, Mirzagaleb Tillyashaykhov, the director of academic and research medical center for phthisiology and pulmonology (ARMCPP), said that "despite wide program, the epidemiologic situation in the republic remain tense". At the same time he noted that "since the end of 1980s and beginning of 1990s many countries have been observing steady growth of tuberculosis indicators", although "the number of tuberculosis infected people in Uzbekistan 1.5-2 times as less as in Russia and Kazakhstan". According to him, the peak of illness and mortality from tuberculosis was in 2002 when the illness indicator reached 79.1 people and mortality rate reached 12.3 per 100 thousand of population. Today’s indicators are marked as 63.7 and 6.1 per 100 thousand of population respectively. The efficiency of treating the infected people reached. 81.3 percent. According to Mr. Tillyashaykhov, this became possible thanks to DOTS strategy implementation and intensive prevention measures. According to professor, multi-drug resistant tuberculosis (MDR TB) is currently big problem in Uzbekistan. Pilot surveys, conducted in Karakalpakstan 2003, discovered that MDR TB spread reached 13 percent in the new patients and 41 of repeated patients. The research, conducted in 2006, revealed even bigger figures – 15 and 45 percent respectively. According to the professor, today the average rate is no more than 10 percent. Mr. Tillyashaykhov also said that the absence of central strategy over the control of tuberculosis deceased people, lengthy contact with infected people (inside hospitals and jails) also facilitates the spread of the tuberculosis with multiple remedy resistance. The professor mentioned that today it is necessary to revise the operations of the medical institutions, focusing on tuberculosis, re-equip them with modern facilities and professional staff. This makes it necessary to adopt the state program on tuberculosis. By 2015 Uzbekistan aims to decrease the mortality rate to 4 casualties per 100 thousand of population, decrease the infection to 50 people per 100 thousand of population, increase decease identification rate to 70 percent (the current rate is about 50 percent), extraction to 85 percent that will meet the world standards. It is common knowledge that tuberculosis is the main reason of HIV-infected deaths. Nearly every third of them is deceased with tuberculosis. Responding on the question about interaction of HIV and TB the chief phthisiatrician Nargiza Parpieva said that along with the implementation of pilot projects "they have developed certain cooperation between HIV and TB services" within 5 years in Tashkent and the Tashkent Oblast. 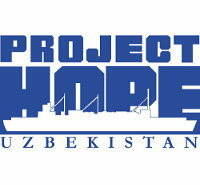 It is expected Health Outreach Program will be conducted during 5 years in Uzbekistan. Maxim Popov has little less than 6 years of jail left.